Posted September 18, 2014 by Senator Fidelma Healy Eames in Features. 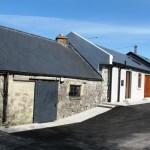 WB Yeats’ ancestral home, which has been closed to the public for five years after severe flood damage, could be open on time for the Nobel Laureate poet’s 150th birthday next June 2015, thanks to a campaign waged by a local South Galway community-based group, the Yeats Thoor Ballylee Society. Thoor Ballylee near Gort. Photo via LadyGregoryYeatsTrail.com. 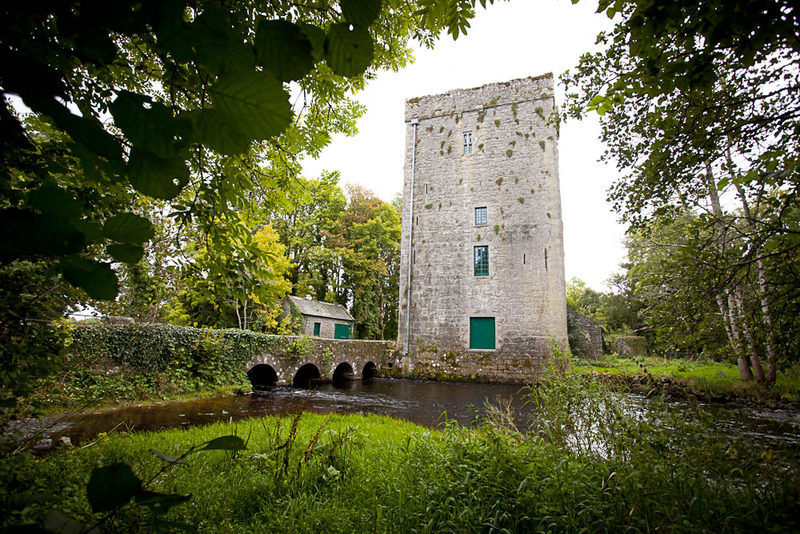 Described by Seamus Heaney as “the most important public building in Ireland” Thoor Ballylee, often referred to as Yeats Tower, is an impressive Hiberno-Norman tower on the bank of the Cloone River near Gort in County Galway. It was here where Yeats was inspired to write some of his most lauded books of poems, The Tower (1928) and The Winding Stair (1931). Yeats purchased the property in 1917 for £35 and he and his architect, Professor William A Scott, spent several years restoring it. From 1921 to 1929 Yeats and his family spent many summers there with damp making it unsuitable as a residence during the winter. The building was badly flood damaged in 2009 and has remained closed ever since. As Ireland West—the custodian of the tower—no longer existed, the building was subsumed into Fáilte Ireland whose mandate does not include protecting or promoting heritage sites and which cannot afford to re-open it. As a result, a local group called the Yeats Thoor Ballylee Society set about waging a campaign to see its impressive doors open once again. 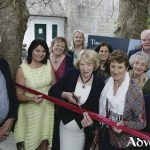 This Society, chaired by Galway Senator Fidelma Healy Eames, is comprised of people in the community, business and academia who feel that Thoor Ballylee is a national treasure and should be open for all to share. 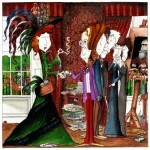 Last evening, Wednesday September 17th, following a motion in the Seanad from Senator Healy Eames, the Yeats Thoor Ballylee Society was granted a licence from the Minister for State for Tourism, Michael Ring TD, to start fundraising to secure the monies needed to re-open and keep open Yeats Tower. 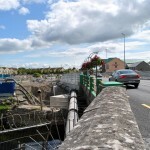 ‘Significantly also, the re-opening of Thoor Ballylee will also be an enormous boost to Galway’s forthcoming bid for Capital of Culture status for 2020’, added the Senator. Thoor Ballylee began its life as a fortified tower built by the de Burgo (Burke) family. The Burkes had established themselves in Connaught after 1200, becoming Earls of Clanrickarde, and the demesne formed part of their large estates. The original tower was probably a timber built fortress, as Hiberno-Norman built stone castles did not come into vogue until the 15th century. The present imposing stone tower dates from around this time. The nearby low-lying four-arched bridge was built around 1825. According to NUI Galway’s landed estates database, by 1837 the Carrig family was recorded as living in the castle. At the time of Griffith’s Valuation (1857), Patrick Carrick was leasing a herd’s house, castle and land at Ballylee, barony of Kiltartan, from William. The property was valued at £5. In 1902 the castle formally became part of the nearby Coole Estate, home to Lady Augusta Gregory. Under Gregory’s watchful eye Coole House had become a centre for literary and political gatherings, welcoming a great number of notable figures of the day, including William Butler Yeats, his brother the painter Jack Yeats, George Bernard Shaw, John Millington Synge, George Russell (A.E. ), and the first President of Ireland, Douglas Hyde. Together with Edward Martyn, who lived down the road at Tulira Castle, Yeats and Gregory founded the Irish Literary Theatre, soon to become the Abbey Theatre. Yeats described the tower and surrounding landscape in his book The Celtic Twilight (1894), which featured stories about a local beauty called Mary Hynes.